If Shakespeare was alive to get the Led out, he would’ve listened to Diarrhea Planet, Nashville’s favorite six-piece rock and roll band. Outfitted with a drummer and bassist that barrel forth with the power of a thousand locomotives and a four guitar arsenal able to unleash a meticulous torrent of expertly crafted hooks, riffs and solos, DP take everything you knew you loved about rock, punk and pop, jack it up way past 11, and leave you catching your breath and massaging the kink in your neck from all that head banging. 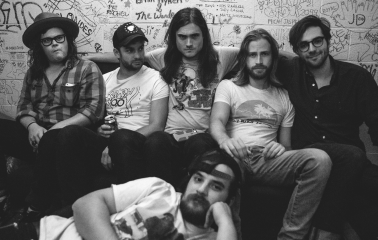 Over the past few years, Diarrhea Planet have packed basements, bars and clubs with enough power to cause a blackout at the Super Bowl (no one said they were not responsible for this year’s fiasco), honing their chops and fine-tuning their shred. 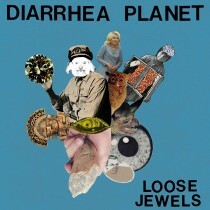 Diarrhea Planet’s 2011 debut Loose Jewels (Infinity Cat) was a 100-meter sprint of pure joy, peppered with shred offs, fret-taps and a whole lot of whooping and hollering, fleshed out by undeniable pop sensibilities. For their next album, the band wanted to go as big as possible and delivered just that. They headed to Marcata Recordings, the barn-turned-studio in upstate New York owned and operated by Kevin S. McMahon, famed indie producer of records by Titus Andronicus, Swans, The Walkmen, Real Estate, and many others. I’m Rich Beyond Your Wildest Dreams (Infinity Cat, 2013) traipses giddily across the rock and roll spectrum due to the band’s ever-expanding understanding of how to maximize its four guitarists to orchestral effect. It is glorious, unabashedly fun, and bolstered by a musical and emotional maturity that reveals itself in the increasing complexity of the arrangements, musicianship, and lyrics. 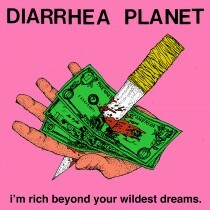 With the release of Aliens, a sprawling spring and summer tour, and a new album on the horizon, Diarrhea Planet are ready to keep conquering hearts, demolishing ear drums, and reminding you that while rock and roll has never needed saving, it is damn good to have a band that makes it as wholly lifeaffirming and flat out fun as it’s supposed to be. 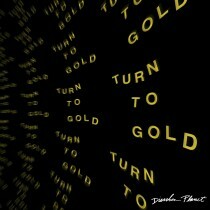 Diarrhea Planet’s Turn To Gold LP out now!